Bjorn Borg – The Interview! Remington Reynolds is pretty excited! As one of our Premier Live and Necker Cup Co-Founders along with Trevor Short and Mike Richards, he gets to experience a lot of amazing things and strives to live out his passion each day. That certainly rang true a few months ago during our 2018 Manuka Doctor Necker Cup presented by Metal. 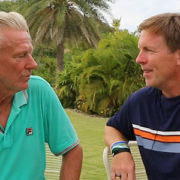 While playing some tennis on Moskito Island, where Necker Cup partner Richard Branson has a home, Rem sat down with the legend Bjorn Borg and had a nice chat. What did they talk about you ask? Well, just about everything ranging from the competition at Necker Cup, his relationship with John McEnroe, Laver Cup, early retirement, parenting his son’s tennis talent. Check our Rem’s interview below and see for yourself how excited he was for this one-on-one time with his friend Bjorn! Congrats to Cody Matlock for winning this year’s Premier Live Music Contest. We had many great entries this year and hope to make the contest much bigger next year. The judges have reviewed all the live performances of original songs and here are the top winners. 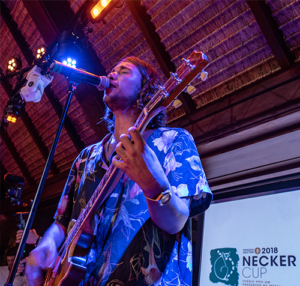 Only the winner of the Best Live Performance of an Original Song wins the trip to perform at the Necker Cup this year, and a 1-week studio session at Tree Sound Studios in Atlanta, GA.
We really appreciate all of your entries and encourage you all to register for next year’s contest. 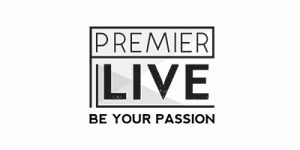 Premier Live is always in search of ways we can provide benefits to our clients and friends. We feel our new partnership with Skyhour is a perfect fit. Skyhour allows you to give flight hours to others, set your travel goals and have access to over 350 airlines where your skyhours can be used! In simplest form, a set price of $60.00 will buy you 1 skyhour which equals 1 hour of flight time. 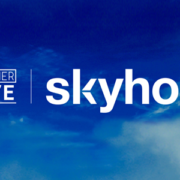 As a Premier Live partner, Skyhour is offering us an exclusive benefit! Premier Live members who sign up for a Skyhour account and add promo code PREMIER100 will receive five (5) skyhours for every one hundred (100) skyhours flown. Just visit: premierlive.com/skyhour to begin! Whether you are planning your personal family travel, gifting your best friend an hour of flight time for her birthday, booking a trip to your favorite Grand Slam or finalizing your Necker Cup, Open & Legends Camp package – with Skyhour, enjoy free time in the sky and Be Your Passion! https://premierlive.com/wp-content/uploads/sites/2/2018/08/unnamed.jpg 708 1024 jgrass https://premierlive.com/wp-content/uploads/sites/2/2018/05/PL-w-300x150.jpg jgrass2018-08-30 16:05:012018-08-30 16:05:01The 2018 Metal One World Players’ Party was a star studded event! 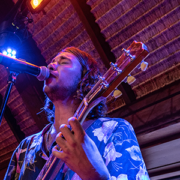 Country music heads to Necker Island this November! 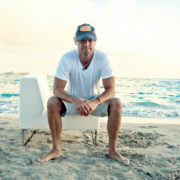 The 2018 Manuka Doctor Necker Cup presented by Metal is right around the corner — and we are excited to announce our U.S. Virgin Islands neighbor Kenny Chesney will be attending and performing at the End of the World Party on November 28! Songs for the Saints, Chesney’s brand new album, was the top selling all-genre album the week it was released — and “Get Along,” its first single, became his 30th #1. Songs for the Saints is close to our hearts, as it was written and recorded during Hurricanes Irma and Maria, which caused catastrophic damage to the Virgin Islands last year. Chesney, who’s been raising funds for the ongoing relief efforts through his Love for Love City Fund, is donating all proceeds from the album to the continued recovery and restoration of the islands. 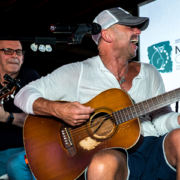 We are hoping the country music superstar brings his racquet, as we would love to see him take on Sir Richard Branson in a few games on the Necker Cup courts! Perhaps we even get a friendly match between our current attending WTA pros—Serena Williams and Caroline Wozniacki, as we’re certain they’d enjoy partnering with Chesney and Richard for a very entertaining match! What a year this 7th Annual Necker Cup is shaping up to be! We are elated to return to our event home on Necker Island and raise funds for several amazing charities. There are still some opportunities to join us. 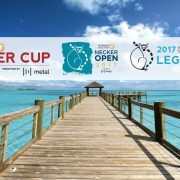 For more information, visit www.neckercup.com. https://premierlive.com/wp-content/uploads/sites/2/2018/08/image1__3_-e1535071429982.jpg 400 600 Remington Reynolds https://premierlive.com/wp-content/uploads/sites/2/2018/05/PL-w-300x150.jpg Remington Reynolds2018-08-24 00:44:142018-08-24 00:44:14Kenny Chesney is set to perform on Necker Island this November! Who is excited about ping pong?? James Blake is!! Premier Live is thrilled to announce that he will be joining us for the 2018 Metal One World Players’ Party presented by Grand Slam Goes Polish at the One World Trade Center in NYC this August. James is known for his speed and powerful forehand on the tennis court, let’s see how that translates to the ping pong tables! Over his tennis career, Blake saw 24 singles finals appearances, a career high singles ranking world #4 and was an American #1. His titles included Comeback Player of the Year as well as Arthur Ashe Humanitarian of the Year. Blake retired in 2013 and is currently director of the Miami Open. 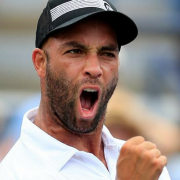 https://premierlive.com/wp-content/uploads/sites/2/2018/07/James-Blake.png 788 940 Peyton Robberts https://premierlive.com/wp-content/uploads/sites/2/2018/05/PL-w-300x150.jpg Peyton Robberts2018-07-02 19:37:182018-07-02 19:39:04James Blake playing in the Metal One World Players' Party presented by Grand Slam Goes Polish! Premier Live is pleased to announce that Serena Williams will be joining us for this year’s Necker Cup. After last year’s devastating hurricane that rocked the BVI, we will be hosting this year on Necker and nearby Moskito Island. Reconstruction of the region is well underway, and we are excited to see many of our old friends. 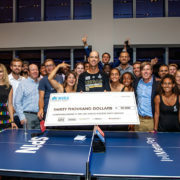 We are also pleased to announce that Premier Live, the National Tennis Foundation and many of our caring and generous guests successfully raised over $600,000 last year that went back to Virgin Unite for hurricane relief and recovery efforts. Williams holds the most Grand Slam titles in singles, doubles, and mixed doubles combined amongst active players. 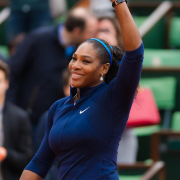 Her record of 39 Grand Slam titles puts her 3rd on the all-time list and second in the Open Era: 23 in singles, 14 in women’s doubles, and 2 in mixed doubles. She is the most recent female player to have held all four Grand Slam singles titles simultaneously (2002–03 and 2014–15) and the third player to achieve this record twice after Rod Laver and Steffi Graf. She is also the most recent player to have won a Grand Slam title on each surface (hard, clay and grass) in one calendar year. She is also, together with her sister Venus, the most recent player to have held all four Grand Slam women’s doubles titles simultaneously (2009–10).